While PC users have long been enjoying the digital audiobooks available through the OverDrive Media Console, MAC users have been waiting to download and transfer the files using their MACs. The wait is now over! Download MP3 audiobooks at www.longmeadow.org/library. The OverDrive MP3 Audiobook offers iPod®, iPhone™, and iPod Touch support! To download our MP3 content, please make sure you have OverDrive Media Console v3.0 (or newer) for Windows or OverDrive Media Console v1.0 (or newer) for Mac installed on your computer. Simple instructions are available when you click on DOWNLOADABLE DIGITAL BOOKS, AUDIO AND VIDEO at www.longmeadow.org/library. The story of two friends, Miles and Jack, going away together for the last time to steep themselves in everything that makes it good to be young and single: pinot, putting, and prowling bars. A raucous and surprising novel filled with wonderful details about wine, Sideways is also a thought provoking and funny book about men, women, and human relationships. This, the first in the splendid series of Jack Aubrey novels, establishes the friendship between Captain Aubrey, R.N., and Stephen Maturin, ship’s surgeon and intelligence agent, against the thrilling backdrop of the Napoleonic wars. It is November 1, 1940. In the famous sound stage ofThe WIZARD OF OZ on the MGM lot, a little man is lying face-up on the yellow brick road. Someone has murdered a Munchkin. Toby Peters is summoned to the scene of the crime by a very young and frightened starlet named Judy Garland. He begins to put together the scanty clues. Within an hour, he is hired by Lewis B. Meyer himself to keep the name of Judy Garland (and MGM) clean of the scandal, and to hold off the police and the newspapers. Jules Brenner, a long time resident of Longmeadow developed macular degeneration many years before his death in 2006. I met Julie for the first time when he attended a Internet class for seniors at Center School in Longmeadow about 10 years ago. In the years after the initial diagnosis, Julie was able to learn how to use a computer, play cards and other normal activities that we all take for granted. In the 20 minute audio clip produced by Story Corps, his wife Ruth shares their life experiences together with this problem and Julie’s story of perserverance to overcome his vision handicap that allowed the two of them to live a close to normal life. Please share this blog posting if you know someone who is developing this problem- Julie’s story might make a huge difference. I’ve just looked outside my window and see a 3-4” blanket of leaves that need to be removed…. and I wonder how many hours that it will take for me to accomplish the task this year. Now that election day and all of its excitement has passed, many town residents are fully engaged in the fall ritual of leaf raking/ blowing and removal. 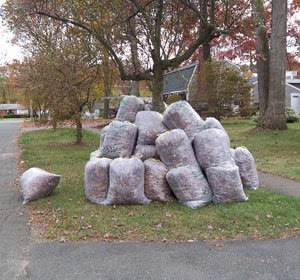 For many years the town of Longmeadow provided a service to collect loose leaves at curbside but due to budget constraints, this service has been replaced with a fee based bagged leaves collection system (click here for program details). As a long time resident of Longmeadow I remember that curbside leaf collection did not always work as planned. In some years, leaves did not always fall in a timely fashion and snowflakes arrived before all of the leaves were picked up…. as expected leaves and snow were plowed together resulting in one big mess. 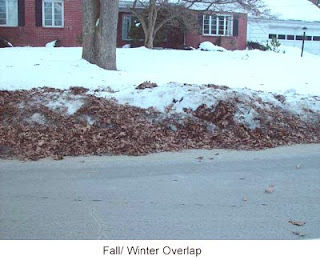 I even remember DPW “bucket loaders” + dump trucks removing frozen piles of leaves and snow from the streets in order to make them safe for both pedestrian and vehicle traffic. In addition, piles of leaves on both sides of some streets left one lane for traffic to pass- not a safe situation. At the recent Special Town Meeting there was a warrant article aimed at reinstituting the service. Town meeting members speaking in favor of the article claimed that they were "entitled" to the service because they pay high real estate taxes. As the town navigated through past budget shortfalls, the leaf collection program was a casualty due to its lower priority as a town service. The warrant article asked for the appropriation of $150,000 to reinitiate leaf collection starting next fall. Mike Wrabel- Director, Longmeadow DPW has provided estimates that suggest in excess of $300,000 (twice the proposed expenditure in the warrant article) may be required to reinitiate the program and that may not include the cost/rental of truck vacuum equipment that no longer exists in the DPW fleet. 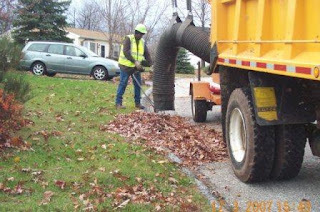 I believe that curbside loose leaf collection is similar to other services needed by homeowners- driveway snowplowing, lawn service, etc. and to expect the town to provide this service as part of our normal property taxes is not justified given the other priorities of town services including police, fire and schools. The current bagged leaf approach is a user fee based system and makes good fiscal sense. Here is a suggestion to property owners looking to regain the luxury of curbside loose leaf collection at a reasonable cost. 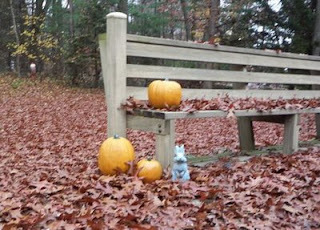 Talk to your neighbors and work out a plan to have a group of 5-10 homes participating in a local curbside leaf pickup. With that number of participants you should have some negotiating power with local landscapers and be able keep the cost reasonable. A “non binding” referendum or poll has been started on LongmeadowBuzz. Take 30 seconds and voice your opinion on curbside leaf collection. Let’s not allow this topic to become a replacement for water fluoridation and waste of our valuable time at future town meetings. Here is a link to the election ballot. 1) The high school desperately needs to be renovated or rebuilt. As anyone who attended or watched the recent building tours or forums with the School Building Committee knows, the building does not help promote student learning. Our students are learning in spite of the building and thanks to their hard work and the dedication of the high school teachers. The town’s students and teachers deserve a building that facilitates their intellectual engagement and does not serve as a distraction. 2) This project demonstrates responsible stewardship of town resources. As our largest town owned building, upkeep of the high school is the responsibility of every adult resident in Longmeadow. In order to make a truly informed decision on the fate of the high school, we must complete this comprehensive Feasibility Study. Without it, we cannot proceed responsibly. 3) This is the only way we can receive state aid to help pay for the project. The state has committed $2.5 billion over five years to support school building projects. Thanks to the hard work of our town leaders, Longmeadow was one of only 49 schools (15 high schools) out of 423 submissions chosen by the state to proceed with the state funding process. If we fail to support the Feasibility Study, it is doubtful that we will become eligible for state funding for the high school in the near future. 4) The financial impact is minimal. We are voting to fund a $750,000 study which will cost the average Longmeadow taxpayer (home value of $370,000) $30 per year for five years (total of $150). This is an excellent investment in the future of the town. The Feasibility Study will both provide us with the information necessary to make an informed decision on renovation versus new construction and enable us to obtain millions of dollars in aid from the state once we make the decision. We need to take this first step in order to proceed further with the state. 5) This project will help keep Longmeadow an attractive place to live and work. Longmeadow’s outstanding reputation in the region is due, in part, to our long-standing commitment to high quality public education. Passage of funding for the Feasibility Study will continue this positive tradition and send a strong signal to families looking to move into the area and teachers looking for the best employment opportunities that Longmeadow is committed to quality facilities and the long term improvement of our high school. In closing, I hope you will join me in supporting the future of our town; vote YES on Articles 6 & 7 and Question #4. 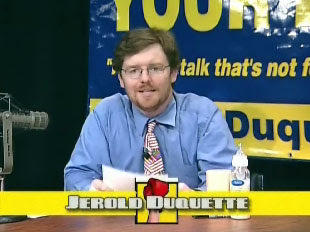 TV Interviews with both sides online now at "Put Up Your Duqs!" If you are not able to attend one of the remaining LHS facility tours (see schedule), please take 15 minutes to view the video below that was recently made through the efforts of the LCTV team. It spotlights some of the problems at Longmeadow High School and hopefully will be useful for town residents to become more informed about this important issue facing our town. Take the time to read the four questions for the upcoming election day ballot on November 4. A number of posters to the LongmeadowBuzz blog have urged voters to vote NO on Question 1. A YES vote on Question #1 would reduce the state personal income tax rate to 2.65% for the tax year beginning on January 1, 2009 and would eliminate the tax for all years beginning after January 1, 2010. A NO vote would make no change in state income tax laws. Here is a link to "The Coalition for our Communities" website which provides more information including the methodology used to generate the numbers. In order to avoid major financial chaos for Massachusetts cities and towns, please vote NO on Question 1. Question 1 on the November 4th ballot, if passed, would eliminate the state income tax. 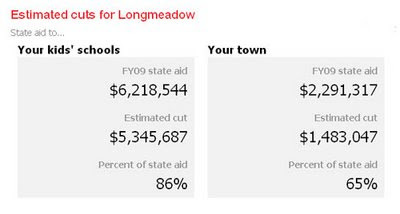 Visit the Coalition for Our Communities to see the estimated state aid cuts for Massachusetts cities and towns. This your opportunity to LISTEN, LEARN and ASK QUESTIONS! So please join the School Building Committee at one or more of these events! Now is the time to get involved! Tour the High School; See first hand the learning environment our children experience everyday. How Long: Tours will last about 1 hour followed by a 30 minute gathering to answer questions. Attend a Public Forum; Listen to members of the Building Committee discuss the project and ask them questions. Fall town meeting will be held on October 28th at 7:00pm in the High School Auditorium. This is a VERY IMPORTANT meeting for all residents who are concerned about the condition and future of the High School. There will be a warrant article to appropriate the funds needed to begin the study of a long term solution for the high school building. If the warrant article passes at Town Meeting then we must turn our attention to November 4th. On the ballot there will be a debt exclusion question to raise the funds needed for the high school study. So please note that if the warrant passes at Town Meeting that does not mean we have the funds, it only means that we may use the funds if they are approved on November 4th. If the warrant article fails at Town Meeting then the November ballot question is null and void and we do not have the choice to raise funds on that date. The Select Board will need to decide if they wish to hold a special town meeting and special election to raise the high school funding option to the town again. This second go around is not guaranteed and costs the tax payers money. We simply cannot let this unique opportunity pass us by. If so, we will be giving up potentially millions of dollars in state reimbursement. Now is the time to get involved! As Longmeadow moves forward on the path toward the construction of a new high school, the newly formed Longmeadow School Building Committee should consider our new high school project being included in the Massachusetts School Building Authority's Model Schools Program. This program considers use of existing designs in order to reduce the overall cost. According to a recent article in the Boston Globe the town of Norwood, MA which is ahead of Longmeadow with the new HS building process is considering this option. With this new program the state also provides financial incentives for towns involved to reduce the financial impact. The picture above shows Whitman-Hanson High School in Whitman, MA built in 2005 which currently accommodates 1,250 students in grades 9 through 12 and is projected to meet the district’s needs for 50 years. The 232,000-square-foot school cost $49.2 million. According to an article in the Patriot Ledger.... "the school is also a pilot project for the Massachusetts Green Initiative, a partnership between the School Building Authority and Massachusetts Technology Collaborative. Natural light reduces consumption of electricity. The building is well insulated and has a 51-kilowatt solar electric array on the roof. A 20,000-gallon underground tank collects storm runoff from the roof; the water is used to flush the school’s toilets." Perhaps, we might not end up with a "unique" building structure but the financial impact on our town might be significantly reduced. Historically fall Town Meetings are attended by less than 100 residents. These 100 or so residents vote on warrant articles that impact the entire town--all 15,000 of us. This fall town meeting will be held on October 28th at 7:00pm in the High School Auditorium. We simply cannot let this unique opportunity pass us by. If so, we will be giving up potentially millions of dollars in state reimbursement. Let's not allow less than 100folks determine the fate of our high school. Now is the time to get involved! So, lets vote YES on the warrant article for the High School Building Project at town meeting October 28th and YES on the Debt Exclusion ballot question on November 4th. 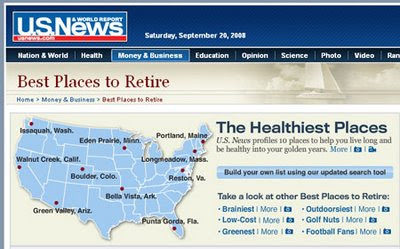 Longmeadow was selected this week as one of the "Top 10 Healthiest Places to Retire" by the online version of the US News and World Report. "These are places way ahead of the healthy living curve—they provide numerous places to exercise, promote strong social support, and encourage healthy lifestyle habits. And each has a little something extra, too." Read the full story on Longmeadow and don't miss the photo gallery .... you will see some familiar faces and names. My wife and I have lived in Longmeadow for 28 years- the last 5½ years after my retirement from Monsanto/ Solutia. In contrast to a number of our friends and my work colleagues who have moved elsewhere for warmer weather and other reasons, we consider Longmeadow our retirement home and are very happy with the lifestyle that we enjoy here. If you have some comments about this US News and World Report, please take some time to share them on the LongmeadowBuzz blog. Kerry carried every precinct. Kerry was strongest in E. O’Reilly was strongest in A.
Kerry’s biggest vote was in B. O’Reilly’s biggest vote was in A.
Ashe carried every precinct. Ashe was strongest in E. Walsh was strongest in A.
Ashe and Walsh got their biggest vote in A. More people blanked the State Rep. race than the US Senate race. Ashe goes against Scibelli with 58% of the Democratic vote. Scibelli got 239/274 = 87% of the Republican vote. 274 people took a Republican ballot. There were 35 (blank/other) votes cast in the GOP primary for State Rep. 13% of GOP voters did not vote for Scibelli. 2132 people voted on Tuesday, 16 September 2008 in Longmeadow. 18.4% turnout. Jeffrey K. Beatty unopposed in the GOP primary for US Senate got 195 votes. 79 (blank/other). 195/274= 71% of the GOP vote. Compiled by John J. Fitzgerald, 19 September 2008, Town Clerk data. Good Morning and welcome back to school! I hope you had a chance to enjoy the breakfast pastries and coffee. It’s always a joy to arrive on Opening Day and reunite with friends as well as to meet new colleagues. I would like to once again acknowledge and thank people who support the work of educating Longmeadow’s children. I would like to thank the School Committee for volunteering their time to improve and advocate for our schools and to acknowledge the current members of the Longmeadow School Committee: Christine Swanson, Chair; Rob Aseltine, Vice-Chair; Gwen Bruns, Clerk; Mary Vogel; Geoff Weigand; John Fitzgerald; and Armand Wray. Thank you for all that you do on behalf of our students. Thanks to all of the other volunteers who give of their time and resources to enrich the learning experiences of our students and staff. Special appreciation goes to LEEF, to the various PACs, PTOs, booster clubs, and other groups who do so much to enhance our educational environment. In the past seven years, LEEF has raised over $1,000,000.00 and awarded over $562,000 for 144 teacher grant requests. Chris has asked me to urge you to start planning your LEEF grant requests NOW! 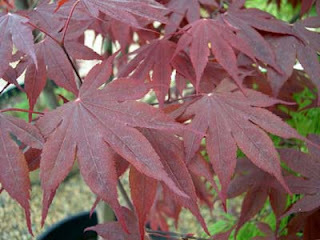 She has provided flyers with information about LEEF, as well as her home phone number and the LEEF web site. Thank you, Chris, for all that you and LEEF do to support our schools. I would like to extend thanks to the Town departments, boards, and community organizations who partner with us to provide essential services to the schools of Longmeadow. Thank you to all of you who are here today: the educators, support staff, and all the many specialists and special people who work in our schools. I want to extend my appreciation to the folks who worked all summer to clean and prepare our schools for today’s official opening. As was done last year, I convened a meeting in June with all of our building custodians and principals to invite them to set reasonable expectations for summer cleaning and to give feedback about areas for improvement. They identified three key cleaning priorities: (1) clean all carpets and rugs, (2) clean all floors, and (3) clean bathrooms thoroughly. Again, those priorities were met and exceeded! As you walk through your buildings, take a moment to admire the results of their hard work and be sure to thank them. Our maintenance workers were involved in multiple Capital Improvement projects throughout the schools, and the grounds crews are working hard this week to spruce up the landscaping. Kudos to the entire custodial and maintenance staff! We should recognize our wonderful school secretaries who ordered materials, greeted families, answered phones, and met the many and assorted needs of students and parents during the summer. Thanks to my assistant, Dianne Georgantas, who took on the responsibility of centralizing student registration in our office – to increase consistency and efficiency and to reduce the burden on school secretaries. Dianne NEVER has a quiet moment and somehow manages to retain her patience, grace, and humor. We are truly blessed to have Central Office staff who continually look for ways to make improvements. Kudos to the many teachers and other staff who worked on curriculum, procedural updates, and New Teacher Orientation this summer. You will reap the rewards of their curriculum improvement efforts over the next few days. . . . thanks especially to Maureen Wilson, Karla Zukowski, Joanne Paar, Karen Palazzi, Dale Skowera, and retiree Gail Meehan who continues to help with our New Teacher preparations. I want to speak to you this morning about continuous improvement in Longmeadow: continuous improvement in (I) the operations and physical environment, (II) in teaching and learning, and (III) towards ensuring a safe, secure, and caring learning environment. All of you, whether veterans or new employees, know that Longmeadow is committed to continuous improvement. Last year we made some substantial improvements to our operations and physical environment. We instituted the AESOP web-based/phone system for attendance reporting and substitute calling; the ConnectED communication system; new security measures and systems in every school and central office; and new phone systems. We also made substantial technology and budget improvements. We made advances in teaching and learning last year by purchasing much-needed reading and social studies textbooks as well as math Investigations materials; and by continuing and expanding our use of John Collins writing and Lesson Study. Two other administrators, 6 teachers, and I took a graduate course in gifted education and we will establish a district committee to look at ways we can improve challenges and enrichment for all students. Longmeadow High School was removed from warning status by the New England Association of Schools & Colleges (NEASC) and we received an invitation by the Massachusetts School Building Authority (MSBA) to conduct a feasibility study of the high school. Recently we were named as one of 8 schools in the state who appear to be a good match for the model schools project, which (if approved) would result in a new building (not a renovation), reduced building costs, increased reimbursement from MSBA, and a savings of about a year on the planning and construction timeline. Goals this year include (I) the advancement of improvements in operations and the physical environment. Christine Swanson has already outlined the School Committee’s goals of Budget, Buildings, and Balance. Your administrators and I have been engaged in joint professional development this summer that will continue throughout the year as each principal advances building-level structures for collaboration in learning. Our final goal of the year (III) is to ensure that we provide a safe, secure, and caring learning environment. Last year, I told you about some interesting research that concludes that superior learning takes place when classroom activities are enjoyable and relevant to students' lives, interests, and experiences. The primary aim of education is not to enable students to do well in school, but to help them do well in the lives they lead outside of school. The world is changing and, as Arthur Clarke said, “We need to educate our children for their future, not our past.” I proposed that we assure that our students are engaged in joyful, relevant learning. I want to reiterate that proposal and add to it. One of your colleagues lent me a book a few months ago: Jodi Picoult’s Nineteen Minutes. I confess that I didn’t want to read it. But I did. It is a frightening and relevant novel. Bullying has expanded to “cyber-bullying” and has affected the lives of many of our most vulnerable students. Last year, our secondary students heard Ed Garrity speak about this issue and I know that Longmeadow middle schoolers have been reading The Revealers this summer. When I looked at the student work that was sent to me this June, I was fascinated by the responses to the prompt regarding “The greatest thing a teacher or staff member did for me this year.” It was clear how the actions of one caring adult can make a lasting difference in the life of a child. Thank you for what you do already for our children and please continue to keep your eyes and hearts open. A culture of caring by staff throughout the Longmeadow Schools! Yesterday I filled two art display boards in the lobby with a small fraction of the many student feedback forms I had received. If you didn’t have a chance to look at them this morning, take a few moments to check them out. I will be posting this presentation on our web site (this file is quite large- 8.9 Mb so be patient if there are extended download times when viewing). Each of you – whether educational or support staff - has the opportunity to encourage and nurture children every day. Thank you for the many ways that you keep your “eyes on the child”! Have a great year! On September 5, the Town began the project of painting the exterior of Storrs Library. It is estimated that workers will take approximately 5 or 6 weeks to complete the job which will consist of power washing, replacing rotten wood and painting the entire building. We expect to keep the library open throughout the process, and we anticipate that there may be only minor inconvenience in access to the building. Let us all look forward to our newly painted library building brilliantly white against the Fall foliage and bright blue autumn sky. Starting on Saturday, September 6th, Storrs Library will be open on Saturdays from 10 a.m. to 4 p.m. September is a lovely month to stop by and enjoy the inviting sun-filled spaces of our elegant reading rooms, to peruse our extensive collection of magazines, to select a book for weekend reading or pick out a DVD for a movie evening at home. Now that school has started, the staff invites students to visit the library for help with school assignments. The library has trained staff, an extensive print and digital reference collection, periodicals, primary source materials and computers with broad-band internet connection. Color printers are also available and printouts cost .15 per page. The library hours are Monday, Tuesday and Wednesday, 10-8, Thursday and Friday, 10-5 and Saturday, 10-4. 25 minutes is too long!! 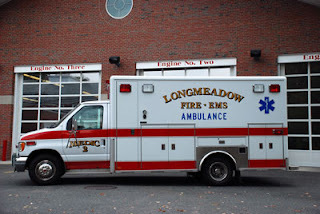 I consider myself very fortunate to have lived in Longmeadow for 28 years and not needed to call 911 for a family medical emergency and ambulance service. The Longmeadow Fire Department has provided outstanding 24/7 ambulance service for our town residents for many years and it is one of our town services that is a critical resource for everyone. Many towns in our area such as East Longmeadow engage private companies to provide this service and sometimes the service does not meet expectations. As part of my Longmeadow- FSBO service on LongmeadowBiz I get to meet many people who are selling their Longmeadow home and moving out of town. I spoke to one of my past clients who had sold her home in Longmeadow and moved to a condominium/town house in East Longmeadow earlier this year. I asked her how it was going and she told me that she missed the great services provided by our Longmeadow Fire Dept. Recently, her husband had an medical emergency and she promptly called 911 for help. When the 911 phone call was answered she was placed on “HOLD”. While she didn't elaborate on all of the details, the end result was that it took almost 25 minutes for the ambulance to respond to her home. The crisis ended well and her husband was OK but such a response is unacceptable. I’m counting on our Longmeadow town leaders to provide the necessary budget resources for our Fire Dept for ambulance equipment, personnel and training so that when my wife or I or anyone else in town needs to call 911… it will not take 25 minutes! Have you been to www.longmeadow.org/library and wondered about that link to Digital Books, Audio and Video? Would you like special help getting started with this new offering? Then come to a special event on Thursday, August 28th at the Agawam Public Library, 750 Cooper Street, sponsored by OverDrive Media and CWMARS. A 74-foot, 18-wheeled Digital Bookmobile will be there from 10:00 a.m. to 5:00 p.m. on its only stop in western Massachusetts! This traveling exhibit for public library download services allows readers of all ages to try out digital audiobook, ebook, and video downloads. Library staff will be on hand to help and advise regarding downloading free software, transferring to compatible portable devices and other matters. We invite you to participate in this unique opportunity and become a frequent user of this exciting new offering in Storrs Library services. This fall Massachusetts voters will be asked whether or not to eliminate the state's income tax. The issue, relentlessly pushed for years by the state's Libertarian Party is a perfect example of why the Framers of the Constitution sought to create a "representative" democracy at the national level and to guarantee it in each state. While the will of the people is the basis for democratic government, the Framers understood the need to "refine" the peoples' will by filtering it through representative institutions. Direct democracy, of which a ballot measure is an example, is COMPLETELY absent in the US Constitution. Without mediating institutions the will of the people is much too easily manipulated and distorted for the advancement of particularized interests. Eliminating the state income tax in Massachusetts would reduce state government revenue by more than 50%. While each citizen can be shown that they are personally benefiting from only a small percentage of government spending (making this measure individually attractive), a reduction of government spending by half would slash ALL government services to the bone. Supporters of this measure assume that with only half the revenue, state government would only be able to do its most fundamental tasks. What they do not realize is that there is no clear consensus on which tasks are "most fundamental." Because eliminating the income tax will not eliminate electoral politics in the state, what is and is not appropriately provided or subsidized by the state will continue to be determined by politics and public opinion. The temptation to slash the revenues of a government that you think is over-taxing you is great, but the unintended consequences of such a radical move would produce a monstrous backlash as more and more citizens start to appreciate what has been lost. If this ballot measure were to succeed, it would likely bring the end of the Libertarian Party in Massachusetts and hasten a populist movement to beat all populist movements. The best result for the measure's proponents is a narrow defeat, which would add fuel to their anti-government rhetorical fire, without forcing them to take responsibility for burning down the state with their rigid ideological dogma. While I will certainly oppose the measure, I must admit to a quiet hope that it passes and serves to totally discredit its advocates. It's like when a parent is constantly nagged by children to give them something they want that the parent knows would harm them. I'm sure every parent is tempted (under duress) to give in and let the kids learn the hard way. Of course, better judgement prevails and the responsible parent accepts the "bad guy" label in exchange for the greater good. This ballot measure provides voters with a similar temptation. I hope and expect that voters will act responsibly and oppose the measure for the greater good, even though doing so will encourage the wrath and whining of the childish, anti-government zealots among us. As a political scientist, I have long recognized the failure of most citizens to realize what the government does and how important its activities are to the daily lives of individuals. Americans take the good things government does for granted. Those who feel overly burdened by government have the greatest incentive to organize to make it look bad. The majority of us who get more than we give from government are not motivated to similarly organize in support of government. Eliminating the state income tax would radically change the incentive structure for political activism in a way that would soon horrify those supporting this measure. I have to admit, I wouldn't mind seeing that. Have you seen the "new look" fire hydrants? Driving around town I've noticed some fire hydrants covered by a green mesh- certainly not the traditional look. So I asked our Fire Chief and DPW Director a couple of questions about this situation and here are their answers. How many hydrants are involved? Will they be repaired or is this part of the cost reduction program from the last town meeting? “There are 43 (of 1120) hydrants out of service. It is intended that they will all be replaced and the bagging is not part of a cost reduction program. The ‘out of service’ hydrants are ‘bagged’ and the Fire Department is notified. As long as the Fire Department knows the hydrant is out of service, they can connect to another hydrant some 400 feet away and not waste time connecting to a hydrant that is non-functional. 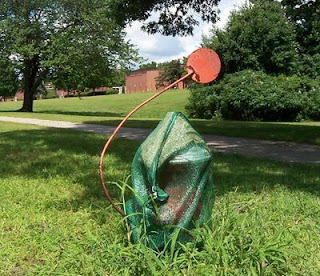 Are there any risks to property owners where there is a non-functioning hydrant near their home? According to Eric Madison, Longmeadow Fire Chief …. “No. There is a greater risk if we have a fire and don’t know a hydrant is out of service. When the hydrant is “bagged” out of service, we quickly identify that and find another hydrant to use. Additionally, the water dept supplies us with a list of all hydrants undergoing repair, and tells us when they are back in service. send us a email to longmeadowbuzz@comcast.net and we will try to get you an answer. Did you know that the Storrs Library – Longmeadow is a participant in the Massachusetts Department of Conservation & Recreation Annual ParksPass program? The program provides passes for free admittance to one vehicle for day use of State parks, forests and beaches. The library has two passes available for checkout. Library patrons can checkout a pass just like a book. The loan period for the pass is three days. There is a $1.00 per day late fee. Passes must be returned to the circulation desk (not deposited in the book drops). If lost, the patron will be responsible for the replacement cost of $35.00. Passes can be picked up at the circulation desk. If you are planning a staycation – a stay at home vacation, this is a great way to enjoy area attractions and plan exciting day trips. If one simply listened to the national news and read the local newspaper, you might believe the title of this blog post. If you read the commentary printed in the today's Springfield Republican's MetroSouth Plus edition which was excerpted from MassLive's Longmeadow forum (see left insert), you would have no doubts about the state of Longmeadow's real estate. However, your understanding would be wrong! The quoted number of 19 foreclosures is an exaggeration of what is currently happening in Longmeadow. According to a FY2008 report issued by Donald Ashe, Hampden County Register of Deeds, there were only 8 foreclosures recorded in the year period ending June 30, 2008. This figure is an increase from 3 in the prior year. With over 5500 homes in Longmeadow, this is still a very low percentage (0.15%) of homes that have been foreclosed- certainly much lower than other regions of the US and not indicative of any major real estate problem in Longmeadow. It is also not true that there are a extraordinarily large number of homes for sale in Longmeadow at this time. According to Realtor.com there are ~ 111 homes up for sale through MLS + another 15 homes via FSBO for a total of ~126 which is about normal for this time of the year- only about 2.3% of the total number of homes. 1. 2008 YTD home sales in Longmeadow are ~ 23% lower than last year. 2. The median price of homes sold in Longmeadow has dropped from ~ $350,000 to $300,000 over the past year. Both of these statistics reflect the national housing crisis. 1. Median prices have stabilized for the past five months. 2. Home sales in July jumped to their highest level in almost a year. Perhaps we are seeing the formation of a bottom in the Longmeadow real estate market. No question that it is still pretty tough to sell a house in our town but Longmeadow is still a very desirable place to live and the Longmeadow real estate market reflects that value. If you are interested in more information on this subject, visit Real Estate Buzz at LongmeadowBiz. 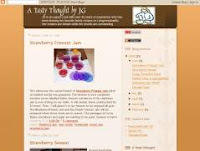 If you haven’t visited the local blog- A Tasty Thought by JG or browsed through her family favorite recipes on her webpage on LongmeadowBiz, you are missing an opportunity to impress family, company or both. The recipes are not difficult and most do not take very much time to prepare but they are sure to please. 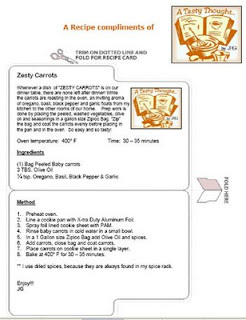 If you click on the above links, each menu item can be printed and cut out into a recipe card for use at a later date. P.S. If you have a favorite blog (on any subject) that you would like to share with your Longmeadow neighbors, add a comment to this posting with its web address and we will consider adding it to our “blogroll”. Anonymous posts are now allowed but they will be subject to review prior to posting to avoid any attempts to make LongmeadowBuzz a Mass Live look-a-like. UConn Law professor and former Massachusetts Governor's Councillor Peter Vickery will be my next guest on "Put Up Your Duqs." We will be discussing the relevance of the US Constitution to our daily lives. Who would you like to see on the show? Congressman Neal? Select board Chair Paul Santaniello? Mayor Dominic Sarno? School Committee Chair Christine Swanson?Candidates for State Representative? Issue-based activists? Current state legislators? Let me know who you want to see and tell me what questions you'd like to see asked by emailing me at jeroldduquette@comcast.net. 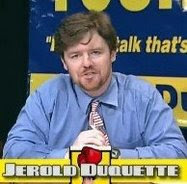 You can watch any episode of the show, or read my blog at JeroldDuquette.org. It's been a wild time at the Storrs Library; click here to see slides. If you haven't already, there is still time to visit the Storrs Library and join our reading program. This statewide reading program promotes the value and fun of reading for ALL ages. The Wild Reads weekly raffle occurs at 2:30 p.m. every Friday. Adult raffle winners choose from a selection of prizes. The final program for the Adult Wild Reads is the History of Mountain Park lecture, scheduled for August 13th. Everyone attending will receive an additional raffle ticket. Don't wait til the end of the summer rush to request your Longmeadow High School summer reading book. Link to the Storrs Library catalog to locate a copy of the title of your choice. You can then place a request for the book to be delivered to the Storrs Library or visit a nearby library to check the book out directly using your Longmeadow library card. For additional assistance stop by the Storrs Library Reference Desk.